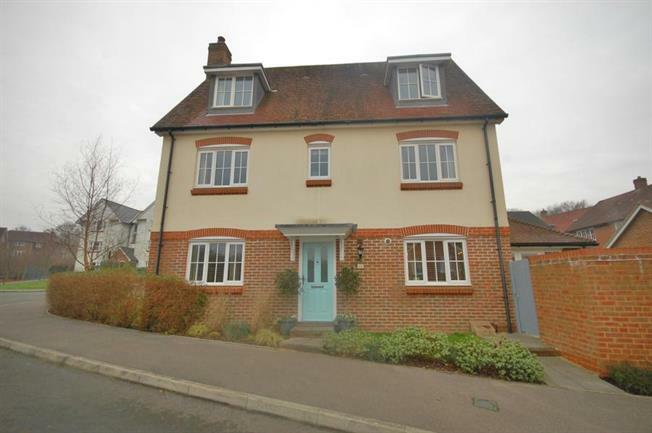 4 Bedroom Detached House For Sale in Uckfield for £425,000. This spacious family home offers excellent accommodation with a wonderful Kitchen/dining/family room opening up to the pretty garden. Four double bedrooms, on the first floor master bedroom with en-suite bathroom and further family bathroom and bedroom. On the top floor there are two double bedrooms and a bathroom. The double aspect sitting room offers cosy family living. Entrance Hall with cloakroom Outside the driveway leads to the garage. the garden is partly wall enclosed and is designed with easy of maintenance. The property is situated on the popular Fernley Park within easy reach of open countryside, local schools and Uckfield High Street with a good range of shopping and main line station is close by. The property is very well presented and a viewing is highly recommended.